Show your fans real HD IMPACT. With the ILLUMINATOR HD’s unparalleled image clarity, brightness and quality, together with its 360 degree rotation capability- which allows the screen to be positioned in any orientation- your audience can see your event up close and personal from any seat. 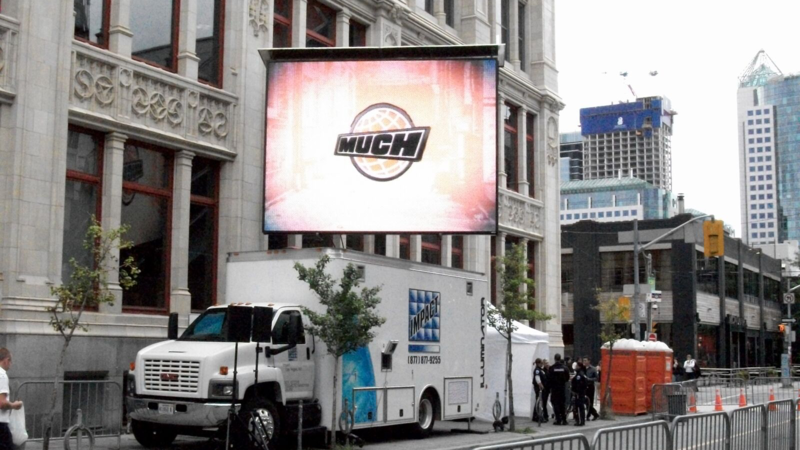 Combined Truck And Screen Weight: 10,000 lbs. Combined Truck And Screen Weight: 24,000 lbs. Shore Power: 60 Amps, 120/208 3-Phase, 16 Series Camlock supplied.